Posted in: Daily Posts. Tagged: Green Island Wildlife Preserve, Harvest Photography, landscape photography, Photography. Happy Friday and Happy Veteran’s Day!! A huge THANK YOU to all who have served our great country! 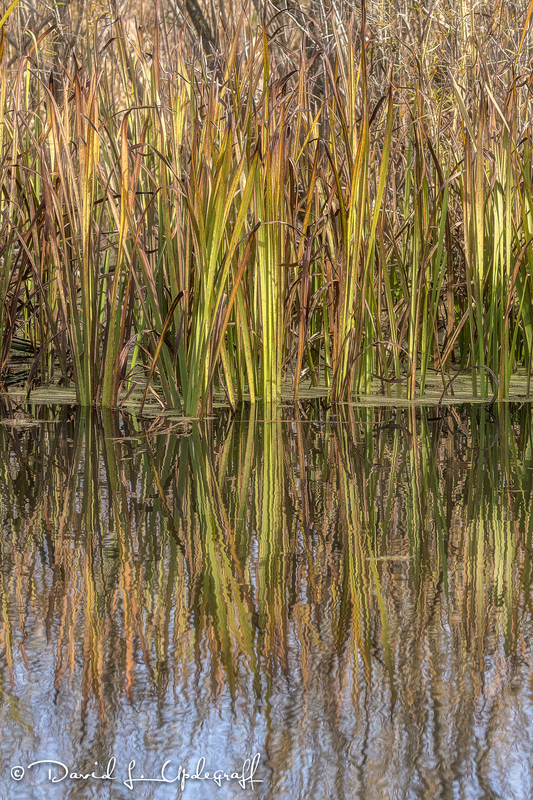 I have three images for you today all taken the same day but at different locations. 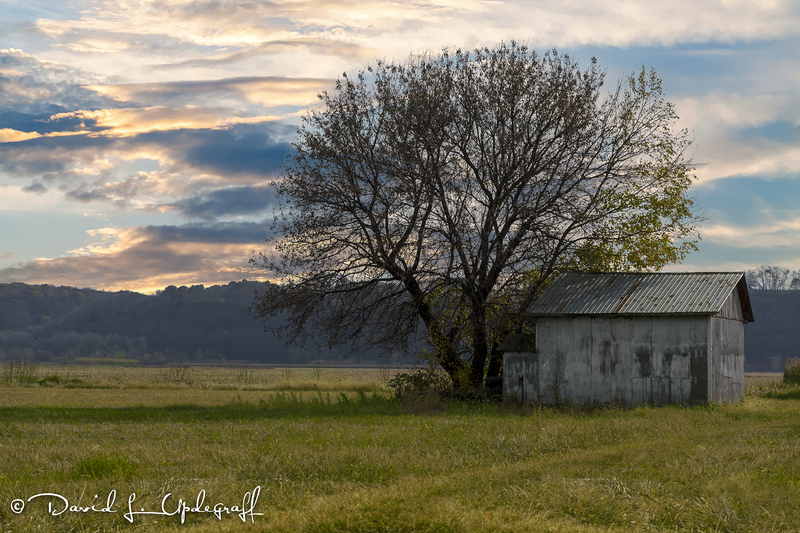 The first two were taken at the Green Island Nature Preserve and the last one is a harvest scene I came across on the way back to Dubuque. I’ve been by this old shed a hundred times and never gave it a second look. But for some reason it caught my eye this day and so I had to make an image of it. 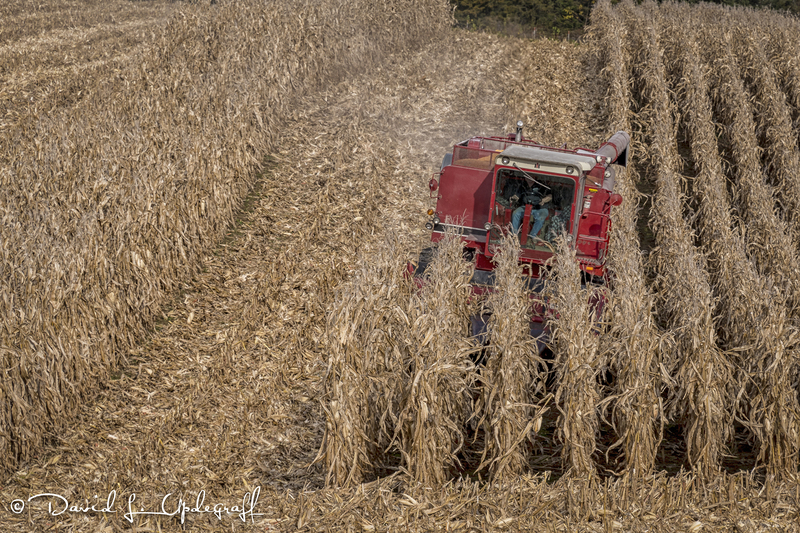 I couldn’t let the harvest season go by without a decent shot of a combine. I love these smaller 6 row combines. After he completed this row I waved at the farmer and waved back and had a smile on his face. That’s it for today. I’m spending the afternoon helping a friend set up his new computer and transferring all his data to the new computer. It will be good to catch up on stories while the data is transferring. Thanks for stopping by the blog. Enjoy your day and be careful. God Bless America! Thank you Andreas. Yes I know you have seen this building many times in your travels to Green Island. Hope all is well. Very nice David! I love the squiggly reflections in your second image.